Yesterday I took the bus out to Fairfield to pick up wool from Knotty By Nature for some of the impending-babies knitting I’m doing, and it was such a wonderfully gray day that I decided to walk home. 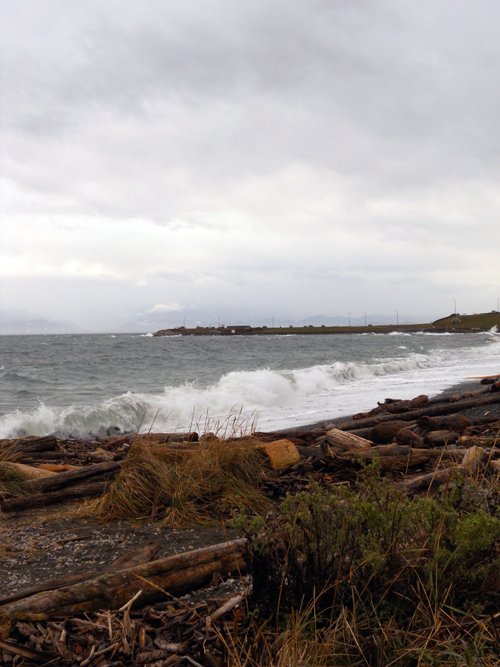 We had had an amazing wind storm on Saturday night and Sunday, and there was a bit of gusty wind as well yesterday. 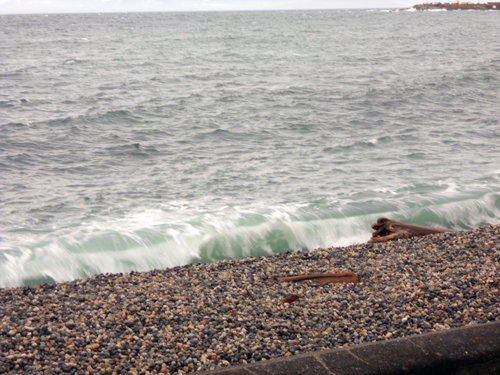 The various colours of gray, water/sky/pebbles, were so beautiful as I walked along Dallas Drive at Ross Bay. The debris evidence along the beach made we wish I had come down to see the storm on Sunday. The rain began in earnest about half way home and I enjoyed watching the drops fall on the ponds at Beacon Hill Park. 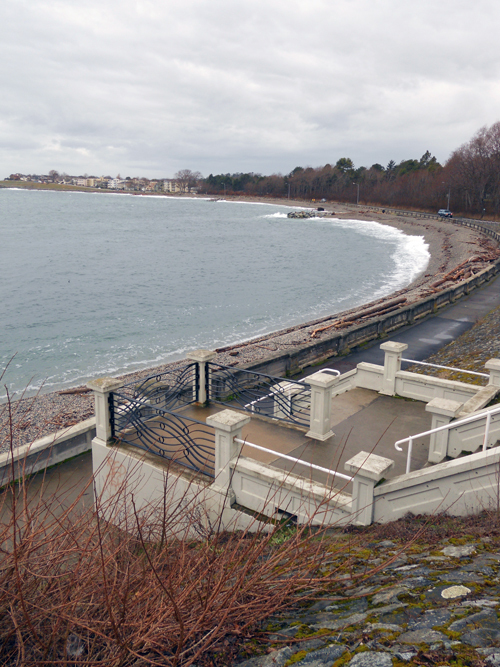 The lovely staircase leading down to the lower walkway at Ross Bay. I love that beautiful sea green colour that appears as the wave begins to crash; such a beautiful contrast to the dark gray ocean and white foam. 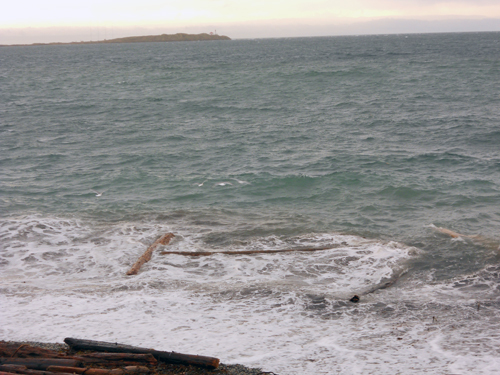 A lot of logs and debris washing up on the beach. 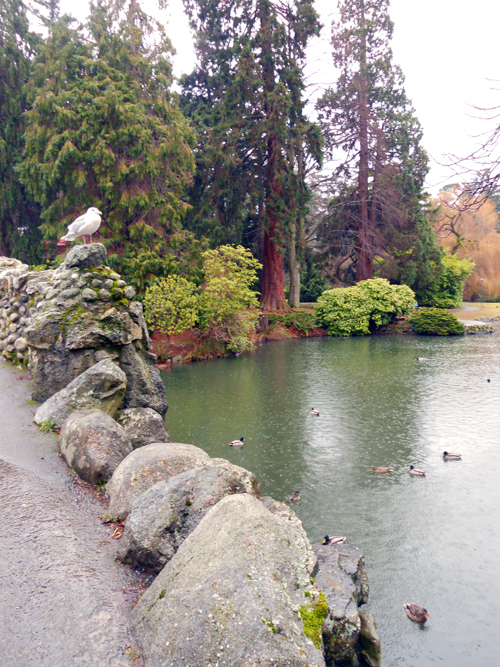 From the stone bridge at Beacon Hill Park; seagull, ducks and raindrops. the photos of the lake with the duck!!!!!! !